Although I hate to admit it, summer is on its last legs. Here in Boston that fall crispness is coming back into the air and all the school kids are heading to Staples for that dreadful back-to-school shopping trip (thinking about that still gives me the chills). Fall does come with its perks though, the main one being the A3C Hip Hop Festival in Atlanta. They participated in not one but TWO official SXSW showcases in 2012 (DJBooth.Net & THAFIXX.com Best in Texas). They just closed out a national summer tour that hit up cities like NYC, LA, Chicago, Atlanta, Houston and (can’t forget to rep my city!) Boston. And ON TOP of all that, this super group has garnered some serious attention from national blogs and publications such as AllHipHop, 2DopeBoyz, OkayPlayer, Ozone and TheSmokingSection. Wowzaz. "A3C will always have a special meaning for the League of Extraordinary Gz. The force behind the group forming Octavis "Esbe Da 6th Street Bully" Berry passed shortly after returning to Texas (He was featured on A3C Compilation Vol 1, track “Pressure” by the League). A3C was the last show featuring the original lineup of the League. That coupled with the connections and contacts we made last year proved to be invaluable. A3C was the turning point in us going from being a talented local group to playing on [a] national scale. No other festival gives as much exposure and practical information [via panels] to hip-hop talent." 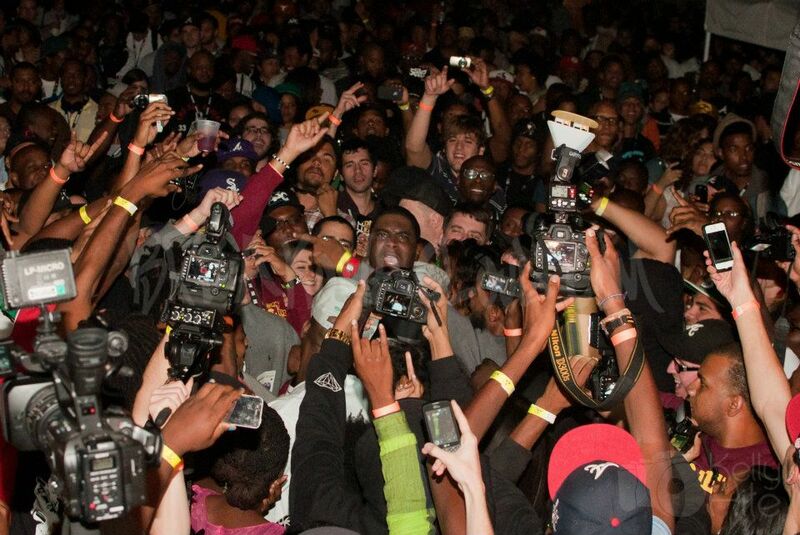 And as you just learned from The League, A3C is not simply a place to show up, perform, and go home. This is a place for networking with peers, learning from established artists and appreciating that culture we all love so much: Hip Hop. With acts like Tech9, Devin The Dude, Paul Wall, Freeway and one of my favorites, 9th Wonder, A3C is the place to be. But how do I get selected to perform? I thought you’d never ask! Submitting your EPK to play is as simple as A-3-C. Just visit www.sonicbids.com/a3c to throw your hat into the ring with other emerging artists. Plus, all artists that submit through Sonicbids receive a 3-day pass to the festival! So even if you don’t get to perform this year, you can still be a part of it and take in all the performances, learning and networking that A3C has to offer. But you gotta act fast because submissions close on September 10th. So step your game up from every angle and get on down to ATL for the festival, taking place October 11th, 12th, and 13th. For more info on the event, visit http://www.a3cfestival.com.